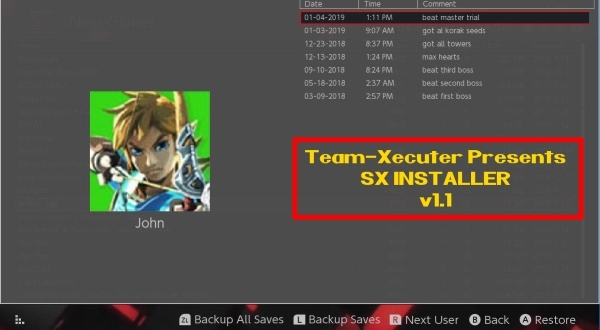 With the help of their friend WAIN, Team Xectuer released a useful custom homebrew app for SX OS: The SX Dumper, which will allow you to dump an original game to your microSD card or USB HDD and then play directly with your backup without the need of the original game anymore. For SX Dumper official news, please click here directly . AceNS Loader New Version Released by Ace3DS Team, With built-in 3 payloads (ATMOSPHERE, REINX and SX OS)(Maximum up to 6 payloads), makes it more convenient and popular among switch hacking users. 2.RCM Jig could be inserted into AceNS Loader. No losing risk. 3.“+” is the switch button, “-” is LED light showing Blue, green, red, yellow, purple as the old version. 4.Longer standby time: With bulit-in battery, lasting about half a year. For more about the new version AceNS Loader, please find in Ace3DS official web.